What went wrong in Iraq? Former diplomat Peter Galbraith says it was the Bush fantasy that we could establish a national army where there was no nation. What’s the meaning of the Declaration of Independence? Professor Danielle Allen explains it is the explicit link between liberty and equality. 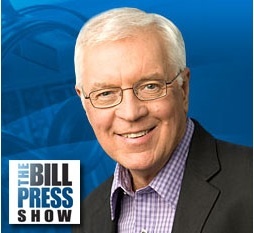 And Bill Press talks with Jonathan Allen about Hillary Clinton. Jun. 29, 2014 Diplomat Peter Galbraith says Obama is on the right course in Iraq. Professor Danielle Allen explains the meaning of the Declaration of Independence. And Bill Press interviews author Jonathan Allen about Hillary Clinton’s wealth. Peter Galbraith Diplomat Peter Galbraith says there is nothing we can do to put Iraq back together again. Danielle Allen Professor Danielle Allen has written a book about our most sacred political document, the Declaration of Independence, which intertwines both liberty AND equality. Jonathan Allen Bill Press and Bloomberg News Washington Bureau Chief Jonathan Allen discuss Hillary Clinton and more. 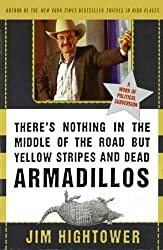 Jim Hightower The deep goofiness of Speaker Boehner. President Obama is back from Europe, and former ambassador Peter Galbraith says he has had a successful foreign policy. Political science professor Jan Leighley explains why the rich vote in greater numbers than the poor, and what they vote for. And Bill Press talks with Senator Bernie Sanders about his new Veterans Affairs legislation. Jun. 8, 2014 Peter Galbraith on Obama’s foreign policy; Jan Leighley on why rich people vote; and Bill Press interviews Senator Bernie Sanders. Peter Galbraith Diplomat Peter Galbraith says President Obama’s foreign policy has been successful – and that if Hillary Clinton becomes president, she will enter office with more foreign policy experience than anyone in American history. Jan Leighley Voting expert Jan Leighley has a warning for Democrats: It isn’t the rhetoric that will matter in defeating Republicans – it is the organizational efforts and door-to-door campaigning. Bernie Sanders Bill Press and Bernie Sanders discuss the senator's newly introduced legislation to reform the Veterans Affairs Department. 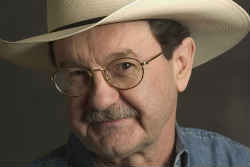 Jim Hightower A bold shift in America's minimum wage debate. Former ambassador Peter Galbraith says Vladimir Putin wants to be player on the world stage. Will it be as a good guy or a bad guy? Professor Sandra Hanson suggests the American Dream may be changing – toward values rather than wealth. And Bill Press interviews Politico’s Manu Raju about Lindsey Graham’s resurgence. Apr. 27, 2014 Peter Galbraith speculates on Putin’s role on the world stage. Professor Sandra Hanson re-examines the American Dream. And Bill Press interviews Politico’s Manu Raju. Peter Galbraith Foreign policy expert Peter Galbraith says Vladimir Putin might be more cooperative if he wants to be a player in world affairs. He also says President Obama’s response to the Russians is sophisticated and nuanced. Sandra Hanson The American Dream is not the same for all Americans, and Professor Sandra Hanson says it may be changing from one of “rags to riches” into one in which values are more important than achieving great wealth. Manu Raju Bill Press and his guest, Politico’s Manu Raju. Jim Hightower Rick Perry's magic glasses.